Mar 15, 2012 – The UFC will continue its European expansion next month when the promotion makes its debut in Stockholm, Sweden for UFC on FUEL TV 2. And according to UFC CEO Lorenzo Fertitta, the organization hopes to debut in a few more European countries by the end of next year. That event, the first for the upstart promotion Oktagon, will take place on March 24 at the Forum Assago di Milano and will be headlined by Valentijn Overeem vs. Michael Kita. In addition to Italy, Fertitta was optimistic that the UFC could hold an event in Spain for the first time, sooner rather than later. 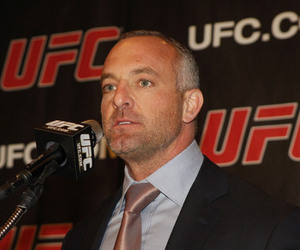 And after spending a considerable amount of time trying to penetrate the French market, Fertitta believes the organization is finally making progress in that region. “France is a massive opportunity,” he said. “[The] Sports Ministry is definitely positive on the issues. The issue is a little bit different because here in the United States, the government actually regulates the sport and they have an entity that regulates it. In a lot of these other countries, it’s different. They are more in tune with the Olympic style of regulating things where you have a federation. So they’re fine with it, as long as there is a federation put in place to oversee the rules and regulations. Thus far, the UFC has held 14 events in Europe: 11 in the United Kingdom, two in Germany and one in Ireland. Can’t wait. Let them fight in the Coloseum haha :).